Here is a quick reminder that the last day of late registration for Fast Eddy's BAM Jam is this Friday, August 1, 2014. We will take registrations through the night. After that teams will have to be placed on a wait list. Click here to register. Why don't we take registrations up until the tournament starts? Even though we've really got this bracketing thing down to a science (click here to read how we do it) the process takes a long time. It is kind of like doing a 300 piece jigsaw puzzle, except you aren't only trying to fit teams in to a space, you have to fit them in to time slots as well. 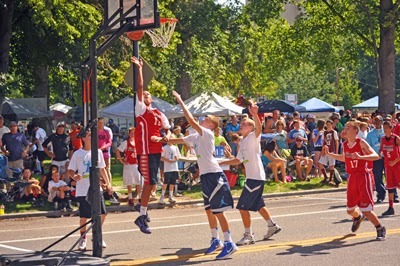 To register, go to www.bamjamboise.com/play and sign your team up from there. To see a few hints and tips on how to register efficiently, click here to read our tip sheet. Other than step 1 (which was intended for the normal registration timeframe) these pretty much all apply.